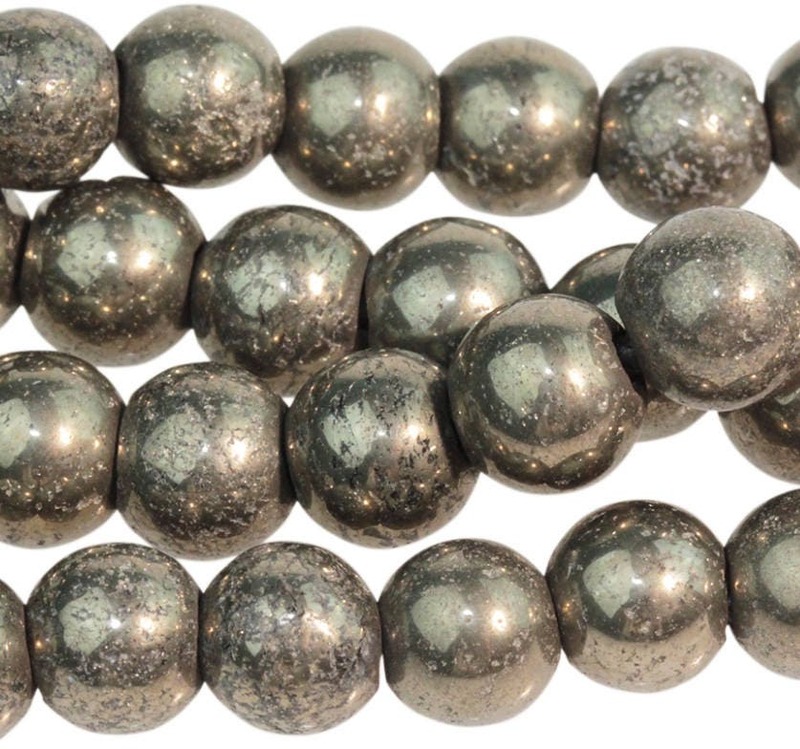 Pyrite 8mm round beads, approx. 26 beads per 8 inch strand. There will be some size variations from strand to strand. Pyrite is an iron sulfide and has an opaque, shiny, metallic luster. It is named for the Greek word pyr, or "fire," as it produces sparks when struck with steel. Pyrite has been used in jewelry and ornamentation for thousands of years. North American Indians used pyrite as amulets. Pyrite is used to foster intelligence, logic and analytical ability. All that and its also magnetic! AKA- Fool's Gold. Mohs 6. Great beads, perfect for my projects! Thank you!